You can install Windows/Office on the same computer after formatting as many times as you like, but we highly recommend that you make a backup of your Windows or Office activation. Whenever you wish to format your computer, you must activate Windows or Office again, and sometimes it can be tricky as Microsoft imposes a limit of activations online and by phone for all licences of their products. 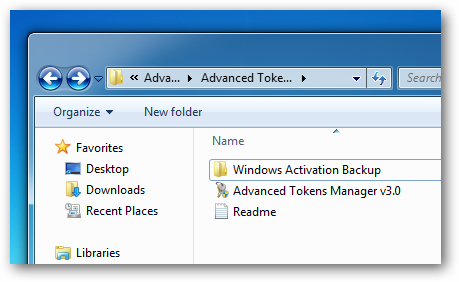 ‘Advanced Tokens Manager’ allows you to make a backup of all the information that Microsoft used to test the validity of your Windows or Office licence. A ‘token’ is information that can be copied to external storage drive. Once you have formatted your computer, just importing the ‘token’ will be enough for Windows or Office to become active again. Note: The application does not work as a mechanism to avoid activation. You cannot duplicate a perfectly legal activation on other computers with a ‘tokens.dat’ backup file. What is "Tokens.dat" and how it works? ‘Tokens.dat’ is a digitally signed file that stores most of the Windows or Office installation files. Each PC’s files has a digital signature that prevents ‘tokens.dat’ from being replaced on other machines. In this case, if used on different machines, you must do the activation online or by phone again. Therefore, you’ll need to make a new backup before changing hardware. Once you have downloaded ‘Advanced Token Manager’, extract the .zip file, and run the program as an administrator by right-clicking. 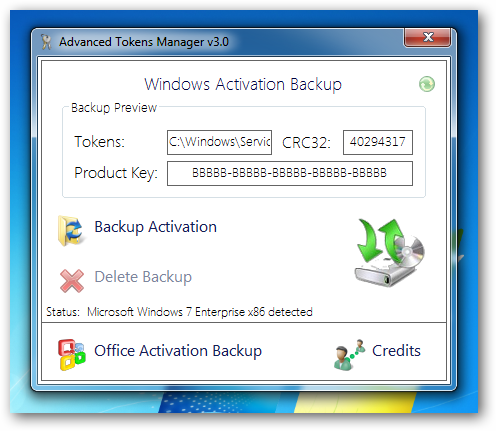 When ‘Advanced Tokens Manager’ is run, you will see the button Backup Activation. Click on it to start the copy of the token’s security. Once this process has ended, you will see a folder called ‘Windows Activation Backup’. Inside the folder is the backup. After formatting your computer and reinstalling Windows/Office, as you can see, it is not yet activated. 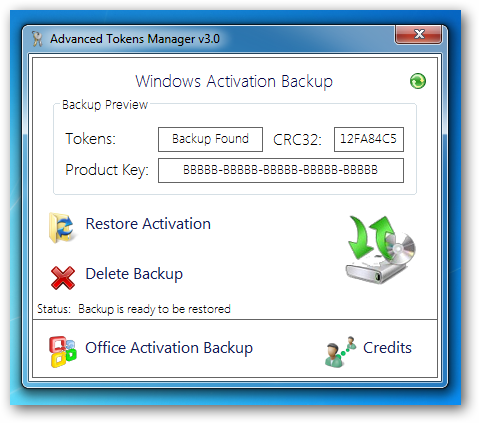 Now simply run the ‘Advanced Tokens Manager’, and select the Restore Activationoption instead of Backup. After clicking on Restore Activation, you will be asked to confirm by clicking the Yes button to start restoring activation. Once finished, a message that shows that activation has been successful appears. Ready! Now you can check the activation status in System Properties, and you will see that Windows/Office is activated again.